So long, it’s been good to know you. This is the last Vagabond Shoes show, as we make way for the new schedule at WTJU. Back when we started this blog, many DJs were still writing their playlists on paper; we were ahead of the curve in posting on-line. Now, you can access the playlists for any show via the WTJU web site, as well as a whole lot more. So while I’ll be hopping over to Jumping on the Bed on Saturdays, between 4-6 pm, alternating with the Monster of Happiness, my intention is for this site to go dormant. If for some reason I feel the need to blog as part of a show, I’ll post a link here to wherever that might be happening, though, again because of the new and improved capacities of the station web site, I don’t foresee that as happening anytime in the immediate future. Thanks for listening these almost five years. This is Bruce’s last show on Vagabond Shoes. You may have noticed the announcement of a new schedule at WTJU. Alas, for various reasons, Vagabond Shoes is not part of it. Bruce elected to “call it a day” with this edition. There are three more shows to go; the last is on July 14. Here’s Bruce’s final playlist. 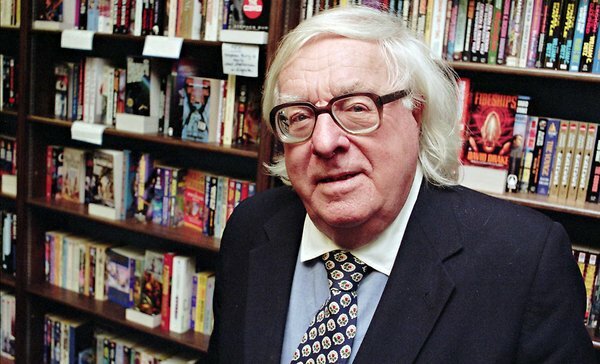 This show is dedicated to the memory of Ray Bradbury, beloved son of Waukeegan, Ill., planet Earth, stalwart citizen of the Cosmos, promotor of Tomorrow. Except for the opening set (ending with “Happy Birthday”), tonight’s show focused on the music that might have been played in WTJU’s first year of operation 55 years ago, spanning multiple genres of classic, jazz, pop and rock. Just like today. 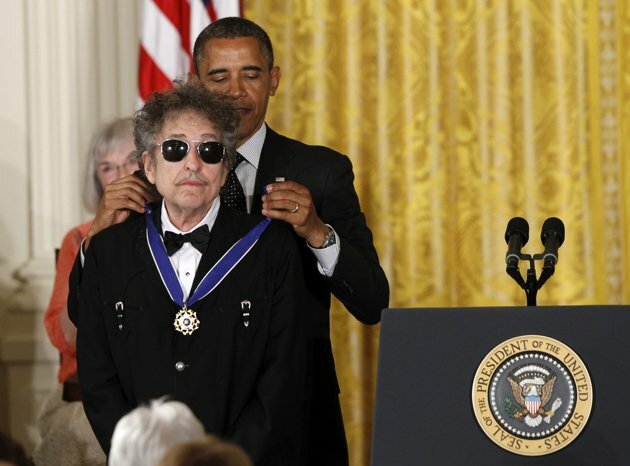 The president of cool presents a medal to the emperor of cool.